I never knew this and have always trudged across the walkway bridge thing back to T4 before getting the free bus to T5. Where is the bus stop you refer to please? Here they are. Basically if coming from T5 get off at the first stop after T4. Cross the road and enter the PI via the car park. 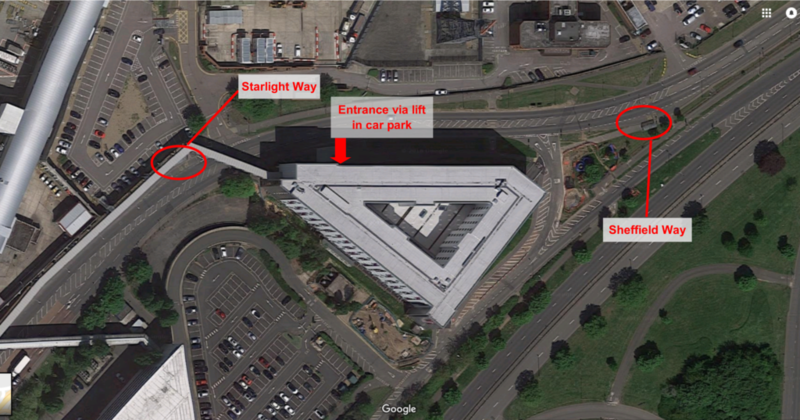 To go to T5 use the Sheffield Way stop.